24SevenOffice is a complete ERP system with CRM, economy, accounting and project management features. 24SevenOffice is suitable from 5-500 users and scales along with your company. The integration between 24SevenOffice and Magento is delivered as a cloud service, SaaS, or IaaS: integration as a Service. Companies working B2B often needs to make the complete order history available to their clients. By using this integration component this can easily be achieved. Create, maintain and grant access to your customers in 24SevenOffice. The discount matrixes from 24SevenOffice can be made available in your Magento webshop. This will give your customers their net price while browsing and shopping in your webshop. 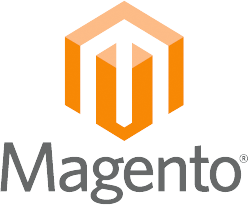 We would love to hear from you if you have any questions about customizing your 24SevenOffice Magento integration! All you need to do is to get in touch with us, and we will help you with the rest!